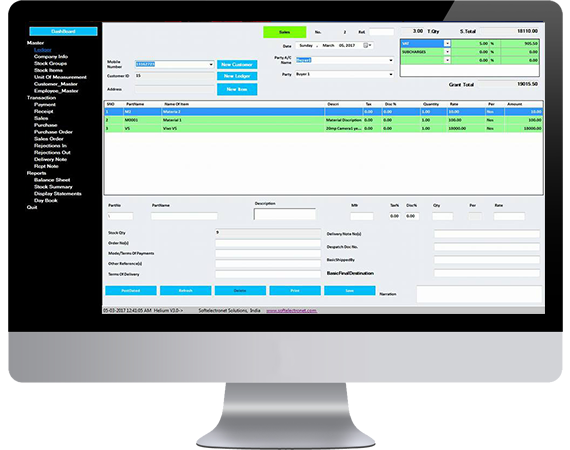 Helium POS Solutions grows with your business. As your company evolves, business requirements are subject to change. The inherent flexibility found in Helium Business Solutions matches your company's growth, letting you readily adapt to industry or company-specific requirements without impacting the standard functions or limiting your upgrade path. Helium POS solutions are very flexible that will suit your business perfectly. Thanks to its tiered architecture, the business software can be optimally integrated into existing IT environments. Helium POS solutions are always flexible enough to meet your changing and expanding business requirements so your system is always up-to-date with the most modern state of technology. The System's layered architecture structure makes it possible for us to guarantee users the most updated technology your-over-year. Softelectronet Solutions believes in partnering with its customers in consulting and building business application that helps customers to increase their potential by bring new dimension to their successes.